Marine Life | "OUR WORLD"
March 25th, 2019. KEY WEST, Fla. – Wildlife officials in Florida and experts as far south as Key West are trying to push one message : Don’t feed pelicans. While plastics are most commonly seen in shallow ocean waters or discussion generally surrounds areas such as the Great Pacific Garbage Patch, it’s important to not forget that plastic is literally in every part of our ocean, even the deepest depths. A recent study published in Royal Society Open Science has found examples of microplastics in animals living in the Mariana Trench, the deepest part of the worlds oceans at 7 miles under the sea surface. The team studied 90 deep-dwelling shrimp for microplastic contamination from six ocean trenches around the Pacific Rim. Unfortunately, even though these marine animals live miles under the surface from humans irresponsible habits of plastic usage, they still cannot escape. “Half of me was expecting to find something but that is huge,” Alan Jamieson, from Newcastle University’s School of Natural and Environmental Sciences, said in a statement. Jamieson also added that majority of man-made items found in the shrimp were clothes fabrics such as nylon. The research revealed that 72 percent of the shrimp tested contained at least one plastic micro particle with some containing up to eight particles. Every trench investigated had marine animals with plastic inside of them but the results did vary depending on how frequent plastic was found in the shrimp. For example, in the Mariana Trench, 100 percent of shrimp examined contained plastics while the shrimp from the New Hebrides Trench came out at a 50 percent rate. “We are piling all our crap into the place we know least about,” Jamieson said, adding that it is hard to know how exactly it was affecting the creatures it contaminated. These particles could just pass straight through the animal, but in the animals we looked at they must be blocking them,” he continued. We need to bring this issue to the forefront of discussion and you can help do that by saying no to single-use plastics in your own life and secondly, petitioning your local businesses and governments to reduce plastic usage or promote laws that prohibit usage. A Hundred Percent of Dolphins, Whales and Seals Tested had Microplastics in their Bodies. A team analyzed a total of 50 animals across 10 species for their research published in the journal Scientific Reports. Microplastics were defined in the study as fragments measuring up to 5 millimeters (0.2 inches). The samples used in the study were taken from 50 animals by members of the Scottish Marine Animal Strandings Scheme (SMASS) and the Cetacean Stranding Investigation Programme. Both projects are based in the U.K.
Of the plastics found in the sea creatures, 84 percent were synthetic fibres which generally originate from products such as clothing and fishing nets. The remainder of the contaminants were what the scientists described as fragments, likely to come from food and drink packaging. A separate piece of research by scientists at the University of Plymouth, U.K., found billions of nanoparticles contaminated shellfish exposed after six hours. The research was published last year in the journal Environmental Science & Technology. Journal Reference: Nelms, S.E., et al. (2019). Microplastics in marine mammals stranded around the British coast: ubiquitous but transitory? Scientific Reports, 9, Article number: 1075. The study was conducted by analyzing nearly 1,000 sea turtles that were found dead on beaches in Australia. What the researchers discovered was that the more plastic a turtle consumes, the great the likelihiod that it will die due to plastic. While this seems obvious, this is the first time scientists have been able to specifically say that the plastic leads to the death of turtles. Of the 246 turtles examined, 58 contained debris. The count and mass of debris ranged from a single piece to 329 pieces, weighing between <0.01 g to 10.41 g.
“We knew that turtles were consuming a lot of plastic, but we didn’t know for certain whether that plastic actually caused the turtles’ deaths, or whether the turtles just happened to have plastic in them when they died,” said Dr Chris Wilcox, Principal Research Scientist with CSIRO Oceans and Atmosphere. The scientists found that once a turtle had 14 plastic items in its gut there was a 50% likelihood that it would cause death. However, that’s not to say that a turtle won’t die if they consume less than 14 pieces of plastic. Sea turtles in all seven seas are impacted by the plastic and a recent study found that in 100% of turtles tested across three ocean, plastic was found in each one of them. “The model we’ve developed can be adapted to help us understand the impact of plastic ingestion not just on individuals, but whole populations of other endangered marine species as well.” Said Wilcox. A newly proposed Florida state bill would ban the use of plastic bags and straws throughout the state. As a good majority of Florida’s borders are covered in ocean coastline, if passed this would be a huge win for marine conservationists and marine animals. Marine life in turn eats that plastic as they believe it is a food source causing severe sickness or death for millions of animals each year. A recent study found that 100% of turtles tested across three oceans all contained microplastics inside of them. Microplastics occur due to the salt and acidity of the oceans which breaks plastic down into small “microplastic” pieces, causing a real dilemma for the planets wildlife. While the plastic breaks into smaller pieces, it does not dissolve as it takes hundreds of years for plastic to decompose in the ocean. The bill, Senate Bill 502, was proposed by Senator Kevin Rader and proposes to prohibit all stores and food services from using plastic bags and plastic straws. The best thing thing Florida citizens can do right now is to call your representative and let them know that you want to see this bill passed. The more they hear from their citizens in support of the bill, the more likely they are to pass the bill. If you had to eat 5,500 pounds of food every day , you would need to find ingenuitive ways to get food and that is exactly what millions of years of evolution has done for the humpback whale. New footage of humpback whales off the northeaster coast of Canada’s Vancouver Island have been captured on video showing how to get food to come to them instead of wasting energy to go after the fish. The method, called trap-feeding”, is when a humpback whale suspends itself on the surface or just below the surface and opens its mouth allowing for water to pour inside. While birds above the sea circle the fish trying to catch them from the air, the fish try to escape the birds and end up in the whales mouth. As first reported in Marine Mammal Science, the researchers first noticed this way of feeding by two whales in 2011. Now the researchers have seen 16 whales use this technique, leading to the belief that the others whales have learned from observation. The authors note that the ability of individual whales to learn can depend on physiology, as well as their ability to respond to their external environment, like changing numbers, availability, distribution, or behavior of prey. In news that will greatly impact the fishing of the planets whales, Japan is set to withdraw from the International Whaling Commission and continue commercial whaling next year. The decisions has caused a mixed reaction by different environmental groups across the world. According to reports, Japan will inform the IWC of its decision to leave after the agency rejected their bid to resume commercial fishing just a few months ago. Kyodo News is reporting that unnamed government officials are sourced as saying Japan will discontinue their expensive and contreversial practice of sailing to Antarctic waters and instead permit whaling fleets to operate in the countries coastal waters and exclusive economic zone. The IWC is responsible for setting catch limits for commercial whaling and in 1982, they decided that a commercial whaling moratorium will take place going forward due to whale populations worldwide. “Why is this a positive Development. Because Japan has never stopped commercial whaling. They have ‘hidden’ it behind the excuse of so called ‘scientific whaling’ since 1987. They have continued commercial whaling despite the International Court of Justice ruling that there is no legal justification for their so-called ‘scientific whaling.’ Now there can be no façade, Japan has joined Norway and Iceland in their open defiance of international conservation law. All three nations are pirate whaling nations. With Japan out of the International Whaling Commission, the IWC can now pass the South Atlantic Whale Sanctuary. The IWC can now focus on conservation instead of whaling. Japan has been the single greatest detriment to the IWC during its entire history. The Japanese puppet nations will no longer be obligated to vote against conservation and without Japanese bribes, many will simply quit the IWC. Mongolia for example has absolutely no connection to whaling historically or practically. The IWC can now vote to condemn industrial commercial whaling. Japan will not be able to kill whales in the Southern Ocean. It is an internationally established whale sanctuary and the only reason Japan has been able to flaunt the law is by invoking the excuse of ‘scientific research whaling.” Overt commercial whaling is strictly prohibited in the Southern Ocean and Japan has indicated it will quit the Southern Ocean while expanding whaling in the North Pacific. This would mean that the current whaling season in Antarctic waters will be the last. Japan will be able to withdraw from the Southern Ocean without losing face. Opposition to illegal Japanese commercial whaling will be easier. Basically, we will be dealing with poachers. Japan will no longer be able to pretend that their commercial whaling is research whaling. Sea Shepherd’s objective to end whaling in the Southern Ocean Whale Sanctuary will have been met. In a five year study performed by WWF Australia and partners, they have found that there are “alarming” levels of chemicals in sea turtles on the Great Barrier Reef. The research was initiated after a mass stranding of green sea turtles in 2012, when more than 100 turtles washed ashore dead or dying in Upstart Bay, south of Townsville. The research was conducted over the five years by collecting water samples, sediment, food, and the blood and shells of turtles to test for a wide range of elements. In coastal locations, turtles were found to have elevated levels of metals such as cobalt antimony, and manganese in their blood and food. Those turtles that were found with higher levels of chemicals were also noticeably unhealthy. In Upstart bay, turtles there were seen with cobalt levels as much as 25 times higher than in some coastal areas with little to no human populations and this was also the highest ever recorded for any vertebrate species. Cobalt is vital for animal and human health but in high levels it can become toxic. The turtles are being directly impacted by human as the chemicals we use on land ends up in the ocean, threatening the clean water that turtles need to survive. Rain or water used for agricultural washes the chemicals from land, to river and eventually the ocean. Massive amounts of soil and chemicals are washed from farms during heavy rainfalls and all that sediment and excess chemical wash over the reefs. This pollutes and destroys areas of seagrass and coral, where turtles live and feed, and is most likely responsible for the mass deaths of sea turtles in 2012. The study, known as Rivers to Reefs to Turtles, aims to identify and measure the key pollutants in rivers, the GBR and in the turtles themselves. They hope that the data collected will help them establish a baseline of where and what needs to be addressed to help protect the ocean and its living creatures. Scientists working on the research have also recommended expanded monitoring of turtle-population health on the Great Barrier Reef “as an indicator of the health of the reef itself”. WWF’s project partners include the University of Queensland’s National Research Centre for Environmental Toxicology and School of Veterinary Science, James Cook University’s Centre for Tropical Water and Aquatic Research, Griffith University, the Great Barrier Reef Marine Park Authority, Queensland Government agencies, local Traditional Owners and natural resource management groups, and community members. Those of you who remember Pizza the Polar Bear might remember why he became famous. He was known as the “World’s Saddest Bear” because he was once housed at the Grandview Aquarium in Guangzhou China. A pathetic excuse for an animal park located within a shopping mall. Well now, that same aquarium is back in the news and for an equally depressing reason. The Grandview may have let Pizza go to a better facility but they still house several animals that are living in unsuitable conditions. This menagerie includes belugas, seals and a walrus that still call the Grandview home. The aquarium has been called a “living hell” and for good reason. The beluga whales, which were caught in the wild and forced into a life of captivity, live in a plain tank with no stimulation. They’re only outside interaction comes from the trainers and paying customers for whom they are forced to perform. The seven-spotted seals don’t fare much better. They also have little to no stimulus and seem to exhibit behavior that suggests the animals are utterly bored with their existence. For seals and whales, marine mammals that usually have a vast ocean to call their home, being forced to live in an empty tank in a dimly lit facility is absolute hell. Finally, as activists point out, the aquarium further endangers these animals well-being because of its location. Defying logic, the aquarium isn’t located on the ground floor, so if there is ever a leak or worse, not only the animals but the people below could be swept away. It is time to shut down this tragic facility. These animals deserve to live in peace in a sanctuary where they can enjoy their remaining years. Not holed away inside a shopping mall. Sea cucumbers are the ocean’s garbage disposals and medicine men all in one, and they are the latest at-risk animals in the crosshairs of greedy poachers. 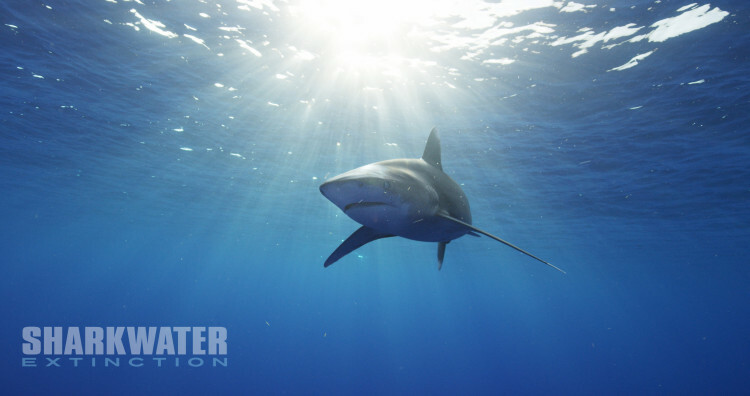 Help save these ocean guardians and, in the process, help save the marine world. Half of all remaining killer whales may be doomed to die due to toxic pollution in the world’s oceans. Sign this petition to demand that nations commit to cleaning up banned PCB chemical waste that is causing severe harm to these animals. Petition: Oil tankers or orcas? Keep tar sand in the ground! Tankers carrying tar sand oil are a serious threat to the habitat of endangered orcas. Yet Alberta is planning the world’s largest open-pit tar sand mine. If realized, it would wipe out 292 square kilometers of forests and wetlands and be a disaster for the climate. Tell Canada to keep tar sand in the ground! Teck Resources’ planned Frontier Tar Sand Mine would be an ecological disaster with a global impact. Keep tar sand in the ground. The pipelines needed to export tar sand oil are environmental disasters waiting to happen: the Trans Mountain Pipeline crosses the Rocky Mountains to British Columbia’s Pacific coast. Oil spills are virtually pre-programmed, and a tanker accident could devastate the coastline and the habitat of 75 endangered orcas. Further inland, the tar sand mining industry is turning swathes of northern Alberta, Canada, into a wasteland: Forests are being felled to make way for open-pit mines. Tailing ponds contain water laden with heavy metals. Refineries pollute the air. Tar sand oil is the world’s dirtiest fossil fuel, and extracting and refining it requires far greater amounts of energy than conventional oil. This project would make a mockery of Canada’s commitment to protect the climate – leaving it in the ground is the only sane option. UNESCO is alarmed by the prospect of the mine: the guardians of World Heritage Sites see grave danger for Wood Buffalo National Park at the mouth of Athabasca River. The river is already polluted by existing oil sand mines and its condition would become much worse. Local people are also impacted by the environmental destruction. The Mikisew Cree and Athabasca Chipewyan First Nations reject the project and have declared the land north of Firebag River to be a no-go area. This has not stopped the mining company from running roughshod over the rights of the indigenous peoples. There will be an official hearing for the pipeline project at the end of September. Together with our Canadian partners, we want to bring international pressure to bear against the dirtiest fossil fuel on the planet. Please sign our petition: Tell the Canadian government to keep tar sand in the ground! Canada’s forests cover an area of 347 million hectares. Of those, 270 million hectares are boreal coniferous forests. Only Russia and Brazil have more forest. 94 percent of all forests in Canada are on public land. Politicians have a great influence over whether they are protected or open to exploitation by business. The boreal forests of pine, spruce, fir and larch are the habitat of caribou, wolves and numerous bird species. Countless lakes, rivers and mountain ranges form a diverse mosaic of natural spaces. The forests are also a crucial bulwark against climate change, storing twice as much carbon as tropical forests. Between 1990 and 2015, Canada’s forest area decreased by 1.2 million hectares, mainly due to logging, mining and hydropower projects. In many cases, the ecological impact is greater than the immediate physical one. For example, relatively narrow strips of land are cleared for roads, but caribou generally do not cross them and thus lose large parts of their habitat. They also keep at least 500 meters away from any disturbances of their environment. While the tar sands themselves cover an area of 475,000 hectares, their full exploitation would thus impact an area of 12,5 million hectares. At 44,807 square kilometers, Wood Buffalo National Park is Canada’s largest national park and largest UNESCO World Heritage Site. It also encompasses the world’s largest inland delta at the mouths of the Peace and Athabasca rivers. Wood Buffalo National Park was established in 1922 declared a UNESCO World Heritage Site in 1983. UNESCO describes the protected area as “the most ecologically complete and largest example of the entire Great Plains-Boreal grassland ecosystem of North America, the only place where the predator-prey relationship between wolves and wood bison has continued, unbroken, over time”. The national park is also the only breeding habitat in the world for the endangered whooping crane (Grus americana). Experts estimate the population to be no more than 250 adult individuals. Canada’s tar sand deposits underlie more than 140,000 square kilometers of northeastern Alberta – an area larger than England. The country’s oil reserves are estimated at 170 billion barrels, putting it in second place after Saudi Arabia. In 2016, Canada produced 2.8 million barrels of crude oil a day, 2.4 million of which come from tar sands. Current plans are to boost production to 5.1 million barrels a day by 2030, with 3.7 million from tar sands. Tar sand is often called “oil sand”, a misleading term that trivializes the harmful chemical process required to extract oil from the bitumen in the sand. Two to three tons of sand are needed to obtain just one barrel of oil (159 liters). Processing the sand consumes up to five times more energy than the extraction of conventional oil. The fuel also emits 23 percent more greenhouse gases. According to the Canadian Association of Petroleum Producers (CAPP), 12 billion barrels of tar sand oil have been extracted since 1967. As a result, 6.3 gigatons of carbon dioxide have been released into the atmosphere. Strip mining tar sand not only devastates vast swathes of land, it also causes serious water pollution on a large scale. The contents of the tailing ponds, which presently cover 176 square kilometers, could bury London under a layer of toxic sludge nearly one meter deep. The muck contains heavy metals such as lead, mercury and arsenic, as well as carcinogenic polycyclic aromatic hydrocarbons. A study by the University of Toronto has shown that up to 1,000 times more toxins evaporate from the ponds than previously assumed. According to the Pembina Institute, 11 million liters of the toxic brew seep into the groundwater and pollute the Athabasca River every single day. Fish in the Athabasca river and delta show striking deformations. Among the indigenous Mikisew Cree First Nation living downstream, certain cancers occur at up to seven times the national average rate. Locals in the town of Fort Chipewyan put the numerous deaths down to heavy metals in the environment. The Canadian government does not see a connection. Critics have described the government’s cavalier attitude toward the plight of the indigenous peoples as racist. To date, the United States has been the main consumer of Canadian oil. Demand is falling, however. The U.S. has been pushing the extraction of oil and gas via fracking with the aim of becoming independent of foreign oil, a policy that has received added impetus under President Donald Trump. Canada is planning major pipelines to transport the crude oil. The Trans Mountain Expansion Project of the Kinder Morgan Pipeline has already been approved and is supported by Prime Minister Justin Trudeau. The pipeline links Alberta’s oil fields to the Pacific Coast. However, the provincial government of British Columbia is trying to foil the construction with proposed environmental regulations. The Enbridge Line 3 pipeline, which will head south toward the U.S., has already been approved. The planned 2,700 km Keystone XL pipeline would also link Canada’s tar sand fields to refineries in Texas. The oil industry has been calling for a pipeline to the east to export tar sand oil to Europe. In late 2017, however, the TransCanada group bowed to public pressure and dropped its Energy East project to the Atlantic coast. Canada is among the countries with the most extensive forests on the planet. The old-growth rainforests of British Columbia, the maple tree forest in Quebec, and the boreal forests in the North are habitat for countless plant and animal species. The forests and wetlands store huge amounts of carbon and play an important role in mitigating climate change on a global scale. It is crucial that Canada protect its forests – yet you have not been living up to this responsibility. The tar sand areas in Alberta are the most horrible and obvious example of this lack of responsibility. For many years, vast forest and wetlands areas have been destroyed for open-pit mines and the production of the dirtiest fossil oil in the world. The Athabasca river has been poisoned, caribou and bear habitat has been destroyed and First Nations rights have been violated. Teck Recourse’s proposed Frontier tar sand mine would damage Canada’s climate change commitments. From the year 2026 on, Teck plans to produce 260,000 barrels oil per day – over the course of 50 years. The approval of this new project would perpetuate the burning of fossil fuels despite the urgent need for humanity to switch to renewable energy as soon as possible to avoid further damage to the climate. Furthermore, the tar sand mine project would be harmful to the habitat of significant plant and animal species, to the Athabasca River and other water resources, and to the Wood Buffalo National Park UNESCO World Heritage Site. stop Teck Resource’s proposed Frontier tar sand mine and tar sand exploitation in general. stop the construction of oil pipelines like Kinder Morgan Trans Mountain that are connected with tar sand exploitation. protect the Wood Buffalo National Park, a UNESCO World Heritage Site. protect Canada’s forests, wetlands, rivers and lakes. respect the rights of First Nations and Métis communities who oppose tar sand mining and oil pipelines. Your government was praised during the Bonn climate summit when announcing an end to burning coal. That pledge would be hypocritical, however, if you continue keep supporting tar sand exploitation. Canada can neither achieve its climate targets under the Paris Agreement nor its national climate plan if it exploits tar sand further. Please live up to your responsibility to protect Canada’s forest and the global climate: keep tar sand in the ground!